I am leaving for a holiday on Ibiza and Formentera in two weeks time (hurray!). We have been to both islands before but it has been a while. Please let me know if you know some lovely spots for eating, shopping, best beaches etc. I will also putting together an Ibiza/Formentera guide for my blog The Travel Files and suggestions will be included. Your help is highly appreciated! 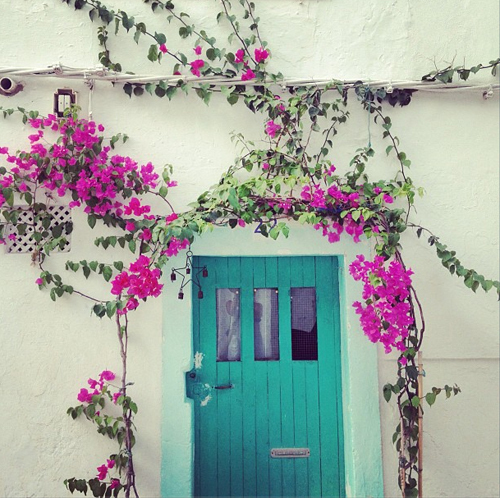 The beautiful photo above was taken by Sibella Court in Ibiza town. Dat klinkt als een heerlijke vakantie. Sowieso is deze blog een topper. Ibiza is nice… but Formentera is wonderful! Great typical restaurant, the food is amazing! Here are my tips: Bar Costa in Santa Gertrudis (Must-do!BEST ham in the World! Try the iberican One! ), Bar Anita in Sant Carles (very traditional and gorgeous), hippiemarket in Es Canar (every wednesday), Cala d’hort (wonderful beachside with a Great view on the Es Vedra Rock) have Fun!!! Thank you for all your kind comments. This is very helpful and it is very much appreciated! !